If you want to make your Google talk messenger status as always Idle then here is the best software for you available for download. As Google talk is well known for its simplicity. 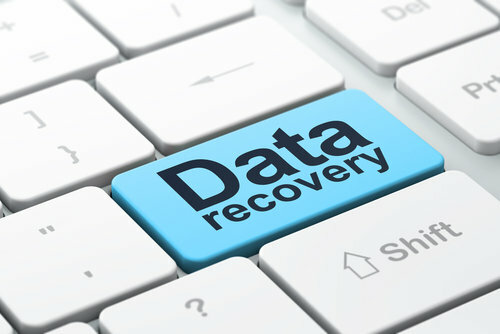 Now a days everyone uses it, and it always open stays in my systray. But one thing I don’t like about GTalk is that it doesn’t let me set my status message as idle.Because Google Talk is an extremely honest application and will show you “idle” only if you do not use the computer for at least 10 minutes. Google Talk does not provide built-in functionality to allow you to control your idle status. There are times when you want to use messenger and be online, but without letting others know about this. Seems like impossible in Google talk, now made possible by gAlwaysIdle. 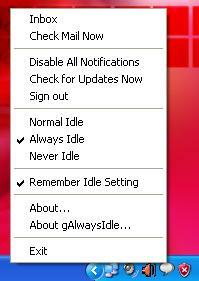 gAlwaysIdle is a freeware which enables you to set your status message as idle. Once you install the application, it adds some extra settings to the right-click menu of GTalk icon in systray. You can choose “”Normal Idle” or “Always Idle”. Always Idle, ‘always idle’ lets you appear away even when you are logged in and doing some work like typing e-mails and sending instant messages etc. Never Idle, ‘never idle’ lets you appear to be at your computer even when you’re far away. REally google talk is the best i think also like your friends for its simple interface, easy to install feature, its unclogged feature that does not eat too much memory. In google talk one can chat easily and it is far better than other messengers available. And like other product of google this is also an addition to its innovation. The idle feature is good but that defeats the idea of chatting. I prefer a custom message than setting the busy or idle status to cheat my friends.